ROOM 14 LEARNING JOURNEYS: Who Is A Global Citizen? Who Is A Global Citizen? This week, as part of our Inquiry (Aspire) and our Edublogs Challenge, we're thinking about Who a Global Citizen is. What makes us a Global Citizen and how can we aspire to act like a Global Citizen? What responsibilities do we have as a Global Citizen and, to tie it in with our inquiry, How can we aspire to be digital Global Citizens? We've started a Google Doc to show our initial thinking and how our ideas change and develop over the next few weeks as we pull these ideas / concepts apart. Click on the link below to take you to the Doc and add your thoughts - don't forget to leave your name and country so that we can see what our 'Global Reach' is! 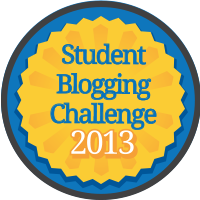 Edublogs Challenge 2013 Is On!!! What Would A Scientist Do?